Welcome to the part of the site dedicated to the amazing PINK FLOYD, if you want to trade them, read my rules and send me an e-mail: vegueta37@yahoo.com. I only have added some comments about the rare bootlegs the rest you need to visit the address above. Quality rates are taken from Pink Floyd ROIO database. PQ is personal Quality based only in my opinion. Stoned again, Arnold layne, rush in a million, Matilda mother, scream thy last scream, astronomy domine. Scream thy last scream, astronomy domine, interstellar overdrive, let there be more light, set the controls for the heart of the sun. Daybreak Pt1, work, afternoon, doing it, sleeping, daybreak Pt2. Astronomy domine, careful with that axe Eugene, interstellar overdrive, the beginning, beset by creatures of the deep, a saurceful of secrets. Daybreak, work/afternoon, doing it, sleep (intro), sleep, nightmare, daybreak Pt 2, the beginning, beset by the creatures of deep, the narrow way Pt 3, the pink jungle, the labyrinths of Auximenes, behold the temple of light, the end of the beginning. 1. Astronomy domine, fat old sun, atom heart mother. 2. Cymbaline, embryo, just another twelve bat, more blues. Live at Montreux casino, Switzerland, November 21st, 1969. Quality: SUP-, PQ: +8. Green is the colour, careful with that axe Eugene, set the controls for the heart of the sun, saurceful of secrets, interstellar overdrive. Live at Fillmore west, England. 29.04.70. Quality: EX/EX+. PQ -9. 1. Embryo, green is the colour, careful with that axe Eugene, if, atom heart mother. 2. Fat old sun, one of these days, echoes. Soundboard Recording, Quality EX+, London England 16. SEPT. 70. PQ 10. 1. Astronomy domine, cymbaline, a saurcerful of secrets. 2. Interstellar overdrive, fat old sun, green is the colour, careful with that axe, Eugene. Live at electric factory, Philadelphia, USA. September 26th, 1970. Quality: EX+. PQ: 9. 2. Atom heart mother, the embryo, tune ups, set the controls for the heart of the sun, tune ups, a saurceful of secrets. Atom heart mother, fat old sun, cymbaline. 2. Atom heart mother, green is the colour, careful with that axe Eugene, set the controls for the heart of the sun, Roger ranting, a saurceful of secrets. Atom heart mother, embryo, fat old sun, green is the colour, cymbaline. Live at Killesberg-Messehallen, Germany. 26.11.70. Quality -EX, PQ +8. Handmade covers designed by me. 1. Green is the colour, careful with that axe Eugene, cymbaline, the embryo, set the controls for the heart of the sun. 2. A saurceful of secrets, atom heart mother. Live at Grosser Saal, Hamburg, Germany. 25.02.71. Quality: +EX. PQ: -9. 2. Embryo, a saurceful of secrets, Atom heart mother. 1. Atom heart mother, green is the colour, careful with that axe Eugene, set the controls for the heart of the sun. 2. Echoes, cymbaline, a saurceful of secrets, interview. 1. Echoes, careful with that axe Eugene, set the controls for the heart of the sun. 2. Cymbaline, atom heart mother, a saurceful of secrets. Recorded live at the Montreux Jazz Festival, Swiss, SEPT 18/19, 1971 Quality EX. PQ 8. Live at Shuppen, Osiach during September 1971 in fact from 01.07.71. Quality EX-, VG+. PQ: +7. Fat old sun, one of these days, echoes, embryo, blues. Live at Paris Cinema, London. September 30, 1971. Quality EX+, PQ: 10. Embryo, green is the colour, careful with that axe, Eugene, let there be more light, murderistic woman, point me at the sky, the narrow way, Julia dream, a saurcerful of secrets, one of these days, echoes. Live at Paris Theater, London, UK. October 3rd, 1971. Quality: EX, PQ: 10. Careful with that axe Eugene, fat old sun, Atom heart mother, embryo, set the controls for the heart of the sun, cymbaline, blues jam. One of these days, a saurceful of secrets, set the controls for the heart of the sun, mademoiselle nobs, Speak to me, breathe, on the run, time, breathe (reprise), the great gig in the sky, money, us & them, any colour you like, brain damage, eclipse. Live at Pompei, Italy. O4.11.71, Handmade Back cover (Other of my sinister creations, PQ 9. Quality -EX. 1. Introduction, embryo, fat old sun, set the controls for the heart of the sun, one of theses days, atom heart mother. 2. Cymbaline, careful with that axe, Eugene, echoes, a saurceful of secrets. 1. Speak to me, breathe, on the run, time, breathe (reprise), the great gig in the sky, money, atom heart mother, careful with that axe Eugene. 2. One of these days, Echoes, a saurceful of secrets. Speak to me, breathe, instrumental jam, time, the mortality sequence, money, us & them, any colour you like, brain damage, eclipse, tune-ups, one of these days, set the controls for the heart of the sun. Echoes, a saurceful of secrets. Bonus tracks: speak to me, breathe, instrumental jam, time, the mortality sequence, money (Equipment failure). 1. Speak to me, breathe, the travel sequence, time, the mortality sequence, money, us & them, any colour you like, one of these days. Speak to me, breathe, on the run, time, breathe (reprise), the great gig in the sky, money, us & them, any colour you like, brain damage, eclipse, atom heart mother, if. Speak to me, breathe, on the run, time, breathe (reprise), the great gig in the sky, money, us & them, any colour you like, brain damage, eclipse, biding my time (rare track). NOTE: Atom heart mother is included on the covers but in fact not in the bootleg and due questions of time it is impossible that this one had been part of the bootleg at least in 1 CD as the covers indicate. 1. Breathe, on the run, time, the great gig in the sky, money, us & them, any colour you like, brain damage, eclipse. 2. Echoes, atom heart mother. 2. One of these days, careful with that axe Eugene, set the controls for the heart of the sun, echoes, a saurceful of secrets. 1. Echoes, tune up, obscured by clouds, tune up, childhood's end, careful with that axe Eugene. 2. Speak to me, breathe, on the run, time, breathe(reprise), the great gig in the sky, money, us & them, any colour you like, brain damage, eclipse, one of these days, Childhood's end (06.03.73), childhood's end (08.07.73). Echoes, obscured by clouds, when you are in, set the controls for the heart of the sun, careful with that axe Eugene. Speak to me, breathe, on the run, time, breathe (reprise), the great gig in the sky, money, us & them, any colour you like, brain damage, eclipse, one of these days. Live at Maple leaf gardens, Toronto, Canada, 11 March 1973. Quality -EX. PQ 8. Let there be more light, flashing, obscured by clouds, set the controls for the heart of the sun, careful with that axe Eugene, Echoes. Speak to me, breathe, on the run, time, breathe (reprise), the great gig in the sky, money, us & them, any colour you like, brain damage, eclipse, one of these days, Saurceful of secrets. Obscured by clouds, when you are in, set the controls for the heart of the sun, careful with that axe, Eugene, Echoes, one of these days. Live at Earl's court, London, UK. May 19th, 1973. Quality: EX-, PQ: 9. Obscured by clouds / when you are in, set the controls for the heart of the sun, careful with that axe Eugene, echoes. Live at Sportorium, Hollywood, Florida, USA. 28 JUN 1973. Quality VG+. PQ -8. 1. Obscured by clouds / when you are in, set the controls for the heart of the sun, careful with that axe Eugene, echoes. 2. Speak to me, breathe, on the run, time, breathe (reprise), the great gig in the sky, money, us & them, any colour you like, brain damage, eclipse, one of these days. Speak to me, breathe, on the run, time, breathe (reprise), the great gig in the sky, money, us & them, any colour you like, brain damage, eclipse, obscured by clouds, when you are in. Raving & drolling, you've gotta be crazy, shine on you crazy diamond Pts 1-5, have a cigar, Shine on you crazy diamond Pts 6-9, speak to me, breathe, on the run, time, breathe (reprise). The great gig in the sky, money, us & them, any colour you like, brain damage, eclipse, echoes. Live at Nassau coliseum, Long Island, NY, USA. 16.06.74 Quality: EX PQ: 9. Shine on you crazy diamond pts 1-9 (early version), raving & drolling, you've gotta be crazy, speak to me, breathe, on the run. Time, breathe (reprise), great gig in the sky, money, us & them, any colour you like, brain damage, eclipse, echoes. Live at Wembley, London, UK. 15.11.74. Quality VG+, PQ: 8. Speak to me, breathe, on the run, time, breathe (reprise), the great gig in the sky, money, us & them, any colour you like, brain damage, eclipse. Raving and drooling, You've got to be crazy, Shine on you crazy diamond. Pink Floyd: Azimuth coordinator Part 1. Raving & drolling, You've gotta be crazy, shine on you crazy diamond pts 1-5, have a cigar, shine on you crazy diamond pts 6-9, speak to me, breathe, on the run. Time, breathe (reprise), the great gig in the sky, money, us & them, any colour you like, brain damage, eclipse, echoes. Raving & drolling, you've gotta be crazy, shine on you crazy diamond Pts 1-5, have a cigar, shine on you crazy diamond Pts 6-9. Speak to me, breathe in the air, on the run, time, the great gig in the sky, money, us & them, any colour you like, brain damage, eclipse, echoes. 1. Raving and drooling, You've got to be crazy, shine on you crazy diamond Pt 1-5, have a cigar, shine on you crazy diamond Pt 6-9, speak to me, breathe, on the run, time. 2. The great gig in the sky, money, us & them, any colour you like, brain damage, eclipse, echoes. 1. Introduction, raving & drooling, tune ups, gotta be crazy, tune ups/organ adjustment, shine on you crazy diamond Pt 1-5, have a cigar, shine on you crazy diamond Pt 6-9. 2. Speak to me, breathe, on the run, time, the great gig in the sky, money, us & them, any colour you like, brain damage, on the run, time. Sheep, pigs on the wing Pt1, dogs, pigs on the wing Pt2, pigs. Shine on you crazy diamond Pts 1-5, welcome to machine, have a cigar, wish you were here, shine on you crazy diamond Pts 6-9, money. Live at Dortmund, Germany. 24 January 1977. Quality: VG, PQ: 8. Introduction, sheep, pigs on the wing Pt1, dogs, pigs on the wing Pt2, pigs. Shine on you crazy diamond Pts 1-5, welcome to machine, have a cigar, wish you were here, shine on you crazy diamond Pts 6-9, tune-ups, money. Live at Deutschlandhalle, Berlin, Germany. 30.01.77, Quality VG+, PQ -8. Handmade covers Front using someone else artwork, Back designed by me, Vegueta. 1. Shine on you crazy diamond Pts 1-5, welcome to machine, have a cigar, wish you were here, shine on you crazy diamond Pts 6-9, money. 2. Sheep, pigs on the wing Pt1, dogs, pigs, pigs on the wing Pt2, Us & Them. Live at Wembley Pool, London, UK. 15 March 1977. Quality: VG-. PQ: 8. Live at New Bingley Hall, Stafford, UK. 31 March 1977. Quality: VG-. PQ: 8. 1. Sheep, pigs on the wing part 1, dogs, pigs on the wing part 2, pigs, shine on you crazy diamond Pts 1-5. 2. Welcome to machine, have a cigar, wish you were here, shine on you crazy diamond pts 6-9, money, us & them. 1. Sheep, pigs on the wing part 1, dogs, pigs on the wing part 2, pigs, shine on you crazy diamond. 2. Welcome to machine, have a cigar, wish you were here, shine on you crazy diamond part 2, money, us & them, careful with that axe Eugene. Live at Oakland coliseum, 9.5.77. California, USA. Quality EX -. PQ 9. 1. Sheep, Pigs on the wing (Pt. 1), Dogs, Pigs on the wing (Pt. 2), pigs. 2. Shine on you crazy diamond (1-5), Welcome to machine, have a cigar, wish you were here, shine on you crazy diamond (6-9), us & them, money. 2. Welcome to machine, have a cigar, wish you were here, shine on you crazy diamond (6-9), us & them, money. 2. Shine on you crazy diamond (1-5) last part / Welcome to machine, have a cigar, wish you were here, shine on you crazy diamond (6-9), us & them, money. 1. Sheep, pigs on the wing part 1, dogs, pigs on the wing part 2, pigs. 2. Shine on you crazy diamond, welcome to machine, have a cigar, wish you were here, shine on you crazy diamond, money, us & them. Live at Madison Square Garden, N.Y.C, New York, USA July 4, 1977. Quality EX. PQ +6. The show is full of mistakes and low quality recording, I don't know why someone else rated this one as EX. NOTE: this show is also known under the name Sheep Independence Day. Pink Floyd: Azimuth coordinator part 2. Sheep, pigs on the wing pt1, dogs, pigs on the wing pt2, pigs, shine on you crazy diamond pts 1-5. Welcome to the machine, have a cigar, wish you were here, shine on you crazy diamond pts 6-9, money, us & them. Live at Quebec, Canada, July 6, 1977. Quality: VG+. PQ -8. Granchester meadows, biding my time, the grand vizier's garden party, cymbaline, green is the colour, careful with that axe Eugene, the narrow way Pt3. Amsterdam, Holland. 17.09.69. Speak to me, breathe, on the run, time, breathe, the great gig in the sky, money. NOTE: This is a new transfer from cassette of the tape we have all come to love. The sloppiness, the arguing ("Dave, why did you stop?" "I didn't stop, Nick did" "Well why did he stop" "I don't know why he stopped, ask him" "We must never stop"), the technical SNAFUs ("I can't hear any piano in my cans" "James there's no click track in the cans"). How can you not love this tape? The reason for the new transfer is that the version available on Roio CD is a single CD that clocks in at 78 minutes. This is from a cassette that was full up. After speed correction this version runs 90:17. I think all that qas cut is some of the 2 spots where the TV goe on for a few minutes, but I though I'd offer a complete version for whomever might want it. I know everyone out there is a completest freak, so here you go. There was a hell of a lot of noise on this tape, some stemming from the original master being a normal bias cassette, most from however many generations of tape this went through before getting to me. I used noise reduction on this, but tried to be careful. Didn't take it all off, because it really hurt the music. There are a few artifacts from the NR, but I personally can deal with them better than that wall of hiss (no pun intended). There is an unusual squeak in the background of side 1 of the tape, kind of a tone running through the thing, that I couldn't remove, because it is not consistent. Starts off at the beginning as one note, and by the end its several notes lower. If it were consistently one note I could use a notch filter to get rid of it, but its not, so it stayed. Also, sector boundaries on this set are NOT fixed, because this runs too long for a CD. If you want to burn it it will have to be made into 2 CDs and SBE's fixed for each. You're on your own. Thanks to Quentin1840 yet again for the source tape. Perhaps you can put some towels in that closet pretty soon. In the flesh, the thin ice, another brick in the wall Pt1, the happiest days of our lives, another brick in the wall Pt2, mother, goodbye blue sky, empty spaces, young lust, one of my turns, don't leave me now, another brick in the wall Pt3, goodbye cruel world. Hey you, is there anybody out there?, nobody home, Vera, bring the boys back home, comfortably numb, the show must go on, in the flesh, run like hell, waiting for the worms, stop, the trail, outside the wall, drift away blues. 1. In the flesh, the thin ice, another brick in the wall Pt1, the happiest days of our lives, another brick in the wall Pt2, mother, goodbye blue sky, empty spaces, young lust, one of my turns, don't leave me now, another brick in the wall Pt3, goodbye cruel world. 2. Hey you, is there anybody out there?, nobody home, Vera, bring the boys back home, comfortably numb, the show must go on, in the flesh, run like hell, waiting for the worms, stop, the trail, outside the wall. Hey you, is there anybody out there?, nobody home, Vera, bring the boys back home, comfortably numb, the show must go on, in the flesh, run like hell, waiting for the worms, stop, the trail, outside the wall. Live at Earl's court, London, UK. 06.08.80. Quality -EX, PQ: 9. Intro, in the flesh, the thin ice, another brick in the wall Pt1, the happiest days of our lives, another brick in the wall Pt2, mother, goodbye blue sky, empty spaces, young lust, one of my turns, don't leave me now, another brick in the wall Pt3, goodbye cruel world. 2. Goodbye cruel world, Hey you, is there anybody out there?, nobody home, Vera, bring the boys back home, comfortably numb, the show must go on, in the flesh, run like hell, waiting for the worms, stop, the trail, outside the wall. Live at Earls Court, London, UK, June 17th 1981. Last Roger Waters’ performance in Pink Floyd, Quality: PQ –8. 1. Echoes, sings of life, learning to fly, a new machine (part 1), terminal frost, a new machine (part 2), sorrow, the dogs of war, yet another movie / round & round, on the turning away. 2. One of these days, time, welcome to machine, us & them, money, another brick in the wall 2, comfortably numbs, one slip, run like hell. 1. Echoes, sings of life, learning to fly, yet another movie, round and round, a new machine (part 1), terminal frost, a new machine (part 2), sorrow, the dogs of war, on the turning away. 1. Echoes, sings of life, learning to fly, yet another movie, a new machine (part 1), terminal frost, a new machine (part 2), sorrow, the dogs of war, on the turning away. 3. One slip, run like hell, shine on you crazy diamond. Live at John F. Kennedy stadium, Philadelphia, USA. SEPT 19th, 1987. Quality: EX, PQ: 9. 1. Echoes Pt 1, Echoes Pt. 2, sings of life, learning to fly, yet another movie, round and round, a new machine (part 1)- terminal frost, a new machine (part 2) - sorrow, the dogs of war, on the turning away. 2. One of these days, time, on the run, wish you were here, welcome to machine, us & them, money, another brick in the wall 2, comfortably numbs, one slip, run like hell. 1. Shine on you crazy diamond, sings of life, learning to fly, yet another movie / round & round, a new machine 1, terminal frost, sorrow, dogs of war, on the turning away. 1. Shine on you crazy diamond, sings of life, learning to fly, yet another movie / round & round, a new machine 1 / terminal frost, a new machine 2, dogs of war, on the turning away. Live at Rosemont horizon, Chicago, USA. 28 SEPT 87. Quality EX, PQ-8. 1. Shine on you crazy diamond, sings of life, learning to fly, yet another movie / round & round, a new machine 1, terminal frost, dogs of war, on the turning away. 1. Shine on you crazy diamond, sings of life, learning to fly, yet another movie, round & round, a new machine Pt. 1, terminal frost, a new machine Pt. 2, sorrow, dogs of war, on the turning away, one of these days. 2. Time, on the run, wish you were here, welcome to machine, us & them, money, another brick in the wall, comfortably numb, one slip, run like hell. 2. One of these days, Time, on the run, wish you were here, welcome to machine, us & them, money, another brick in the wall, comfortably numb, one slip, run like hell. Live at Orange Bowl, Miami, USA. November 1st, 1987. Quality +EX, PQ: 10, NOTE: Soundboard recording! Pink Floyd: A nice pair of Hoosiers Part 1. 1. Shine on you crazy diamond, sings of life, learning to fly, yet another movie, a new machine Pt. 1, terminal frost, a new machine Pt. 2, sorrow, dogs of war, on the turning away, one of these days, time. 2. On the run, the great gig in the sky, wish you were here, welcome to machine, us & them, money, another brick in the wall, comfortably numb, one slip, run like hell. 1. Shine on you crazy diamond, signs of life, learning to fly, yet another movie, a new machine Pt. 1- terminal frost-a new machine Pt 2, sorrow, dog of war, on the turning away, one of these days, time. 2. On the run, the great gig in the sky - wish you were here, welcome to machine, us & them, money, another brick in the wall, comfortably numb, one slip, run like hell. 1. Shine on you crazy diamond, sings of life, learning to fly, yet another movie, round & round, sorrow, dogs of war, on the turning away, one of these days, time. Live at Gentofte, Copenhagen, Denmark. 31 JUL 88. Quality EX+, Handmade covers using someone else artwork Bootlegged by a fan. PQ +8. Shine on you crazy diamond (Pt. 1 to Pt. 5), high hopes, breathe, time, breathe (reprise), the great gig in the sky, lost for words, wish you were here, us & them, money, comfortably numb. 1. Astronomy domine, learning to fly, what do you want from me, take it back, lost for words, sorrow, a great day for freedom, keep talking, one of these days, shine on you crazy diamond, breathe in the air, time. 2. High hopes, wish you were here, another break in the wall, the great gig in the sky, us & them, money, comfortably numb, hey you, run like hell. Sound check: Astronomy domine, Astronomy domine. 1. Learning to fly, what do you want from me, a great day for freedom, sorrow, take it back, on the turning away, keep talking, one of these days. 2. Shine on you crazy diamond, breath, time, high hope, wish you were here, another brick in the wall, money, run like hell. 1. Astronomy domine, learning to fly, what do you want from me, a great day for freedom, sorrow, take it back, on the turning away, keep talking, one of these days, shine on you crazy diamond, breathe, time. 1. Astronomy domine, learning to fly, what do you want from me, a great day for freedom, sorrow, take it back, another brick in the wall Pt. 2, keep talking, on the turning away, shine on you crazy diamond, breathe. NOTE: This show was re-mastered by my friend from Olymp Records anyway the sound quality is terrible poor, just is good for being so strange. 1. Astronomy domine, learning to fly, what do you want from me, on the turning away, sorrow, take it back, keep talking, One of these days, shine on you crazy diamond, Breathe, Time - Breathe in the air (reprise). 1. Astronomy domine, learning to fly, what do you want from me, on the turning away, take it back, coming back to life, sorrow, keep talking, one of these days, shine on you crazy diamond, breathe in the air, time. 2. High hopes, the great gig in the sky, wish you were here, us & them, money, another break in the wall, comfortably numb, hey you, run like hell. 1. Astronomy domine, learning to fly, what do you want from me, on the turning away, take it back, coming back to life, sorrow, keep talking, one of these days, shine on you crazy diamond, breathe. 2. Time, high hopes, the great gig in the sky, wish you were here, us & them, money, another break in the wall, comfortably numb, hey you, run like hell. Eclipse as a bonus track. 1. Astronomy domine, learning to fly, what do you want from me, on the turning away, take it back, a great day for freedom, sorrow, keep talking, one of these days. 2. Shine on you crazy diamond, breathe, Time, high hopes, the great gig in the sky, wish you were here, us & them, money, another break in the wall, comfortably numb. 3. Hey you, run like hell. 1. (Astronomy domine, learning to fly), (What do you want from me, on the turning away), (take it back, a great day for freedom, sorrow), (keep talking, one of theses days), comfortably numb, hey you! 2. (Shine on you crazy diamond Pts 1-5, speak to me, breathe, time, breathe (reprise), High hopes), the great gig in the sky, wish you were here, (Us & them, money), another brick in the wall Pt 2, run like hell. NOTE: THE EDITION IS THE WORST ONE THAT YOU CAN FIND, THE SONGS ARE MERGED, THAT IS WHY I USED (=), TO INDICATE THAT. THE SONGS OR THE MERGED SONGS FADE IN AND FADE OUT. AT THE BEGINNING OF WHAT DO YOU WANT FROM ME?, YOU CAN HEAR DAVID SAYING: How you doing high mile stadium?, THE SOUND IS REALLY GOOD FOR AN AUDIENCE RECORDING FROM USA. 2. Shine on you crazy diamond, breathe, Time, high hopes, the great gig in the sky, wish you were here, us and them, money, another brick the wall Pt. 2. 3. Comfortably numb, hey you, run like hell. 1. Astronomy domine, learning to fly, what do you want from me, on the turning away, poles apart, take it back, sorrow, keep talking, one of these days, shine on you crazy diamond, breathe. 2. Time, high hopes, the great gig in the sky, wish you were here, us and them, money, another brick the wall Pt. 2, comfortably numb, hey you, run like hell. 1. Astronomy domine, learning to fly, what do you want from me, on the turning away, take it back, a great day for freedom, sorrow, keep talking, one of these days, shine on you crazy diamond. 2. Breathe, Time, high hopes, the great gig in the sky, wish you were here, us and them, money, comfortably numb, hey you, run like hell. 1. Astronomy domine, learning to fly, what do you want from me, on the turning away, poles apart, take it back, sorrow, keep talking, one of these days, shine on you crazy diamond. 2. Breathe, Time, Breathe (reprise), high hopes, the great gig in the sky, wish you were here, us and them intro, us and them, money, another brick the wall Pt. 2, comfortably numb, hey you, run like hell. 2. Speak to me, Breathe, on the run, Time, Breathe (reprise), the great gig in the sky, money, us & them, any colour you like, brain damage, eclipse,wish you were here, comfortably numb, run like hell. 1. Astronomy domine, learning to fly, what do you want from me, on the turning away, take it back, coming back to life, sorrow, keep talking, one of these days, shine on you crazy diamond. 2. Breathe, Time, high hopes, the great gig in the sky, wish you were here, us & them, money, another break in the wall, comfortably numb, hey you, run like hell. 1. Shine on you crazy diamond, learning to fly, what do you want from me, on the turning away, take it back, a great day for freedom, sorrow, keep talking, one of these days, astronomy domine, breathe. 2. Time, high hopes, the great gig in the sky, wish you were here, us & them, money, another break in the wall, comfortably numb, hey you, run like hell. 1. Shine on you crazy diamond, learning to fly, what do you want from me, on the turning away, take it back, coming back to life, sorrow, keep talking, one of these days, astronomy domine. 1. Shine on you crazy diamond, learning to fly, what do you want from me, on the turning away, take it back, coming back to life, sorrow, keep talking, one of these days, astronomy domine, breathe. 1. Shine on you crazy diamond, learning to fly, what do you want from me, on the turning away, poles apart, take it back, sorrow, keep talking, one of these days, astronomy domine / breathe. 1. Soundscape, astronomy domine, learning to fly, what do you want from me, on the turning away, take it back, a great day for freedom, sorrow, keep talking, one of these days, shine on you crazy diamond, breathe. 2. Time, breathe (reprise), high hopes, the great gig in the sky, wish you were here, money, another break in the wall, comfortably numb, hey you, run like hell. Live in Berlin, Germany, 21 Aug 94. Quality EX+. PQ -9. 2. Time, breathe, high hopes, the great gig in the sky, wish you were here, us & them, money, another break in the wall, comfortably numb, hey you, run like hell. 1. Shine on you crazy diamond, learning to fly, take it back, sorrow, keep talking, wish you were here, another brick in the wall 2, one of these days, high hopes. Live at Feyenoord Stadium, Rotterdam, Holland 4 SEPT 94. Quality SUP+. PQ -8. 1. Shine on you crazy diamond, learning to fly, what do you want from me?, on the turning away, take it back, a great day for freedom, coming back to life, one of these days. 1. Shine on you crazy diamond, learning to fly, what do you want from me, on the turning away, poles apart, take it back, sorrow, keep talking, one of these days, Astronomy domine. 1. Introduction, Astronomy domine, learning to fly, what do you want from me, on the turning away, take it back, a great day for freedom, sorrow, keep talking, one of these days, shine on you crazy diamond. 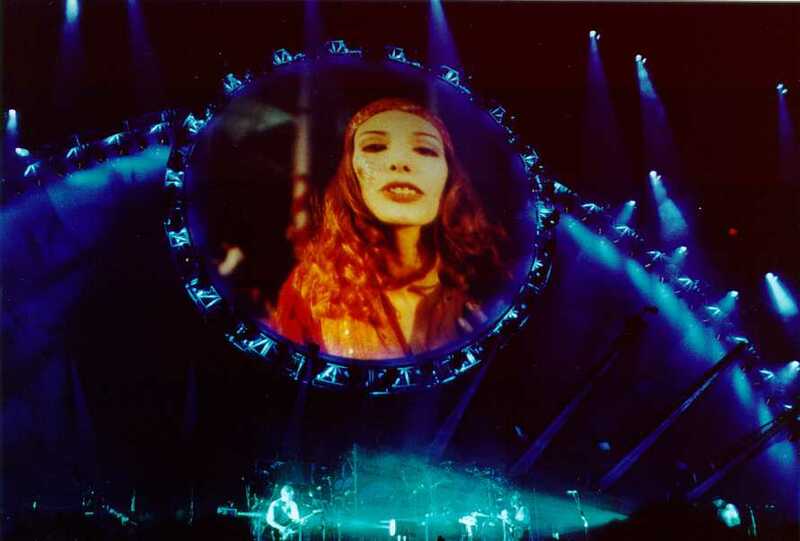 Show Notes: This show was indeed the "Last Bell" to date for Pink Floyd as a group, as this is the final 1994 show that they performed, as well as the last full performance of Dark Side Of The Moon. The show was a benefit for Greenpeace, Amnesty International, and others. The recording is an enjoyable listen from start to finish. Intro, Breathe, Money, Wish you were here, comfortably numb, outro. David Gilmour & friends: In Floyd we trust! Until we sleep, all lovers are deranged, money, love on the air, short and sweet, you know I’m right, run like hell, blue light, introduction, comfortably numb. Live at Allentown stadium arena, Allentown, USA. 12 July 1984, Quality: SUP, PQ: 9, Radio broadcast. Shine on you crazy diamond Pts I-V, terrapin, tune ups, fat old sun, tune ups, coming back to life, you are the weakest link…goodnight, high hopes, the last time I played here, Je Crois enetendre encore, smile, when it’s the next Pink Floyd album, wish you were here, tune ups, comfortably numb (With Robert Wyatt), tune ups, the dimming of day, if you want him you can have him, shine on you crazy diamond Pts VI-IX, band’s introduction, something from Animals please?, a great day for freedom, Hushabye mountain. Live in London, England 22 June 2001, PQ: -8. 1. Breathe, time, breathe (reprise), castellorizon, on an island, the blue, red sky at heaven, this heaven, then I close my eyes, introducing the band, smile, take a breath, a pocket full of stones, where we start. 1. In the flesh, the happiest days of our lives, another brick in the wall Pt.2, mother, get your filthy hands off my desert, Southampton dock, Pigs on the wing Pt1, dogs, shine on you crazy diamond Pts 1-5, welcome to machine, wish you were here, shine on you crazy diamond Pt 6-9, set the controls for the heart of the sun. 2. Breathe, time, money, the pros and cons of hitch hiking part 11, perfect sense Pt 1 & 2, the bravery of being out of range, it’s a miracle, amused to death, brain damage, eclipse, band presentation, comfortably numb, shell me free. Live at Foro Sol, Mexico City, MEXICO!!!. 19.03.02, PQ: 8. 2. Speak to me, breathe, on the run, time, the great gig in the sky, money, us & them, any colour you like, brain damage, eclipse, the happiest days of our lives, another brick in the wall, Vera / bring the boys back home, comfortably numb. HEAVY METAL: ACCEPT, THE ACCUSED, AFTER FOREVER, ALCATRAZ, ALICE COOPER, AMON AMARTH, ANATHEMA, …AND OCEANS, ANGRA, ANTHRAX, ARCADE, ARCH ENEMY, ARCTURUS, ASESINO, ATHEIST, AUTOPSY, BABYLON A.D, BADLANDS, BAL SAGOTH, BETWEEN THE BURIED AND ME, BLUE MURDER, BON JOVI, BORKNAGAR, BRITNY FOX, BRUJERIA, BULLETBOYS, CANCER, CANNIBAL CORPSE, CARCASS, CARNIVORE, CATHEDRAL, CAVALERA CONSPIRANCY, CINDERELLA, CORONER, COVERDALE / HUGHES, CRADLE OF FILTH, CRO-MAGS, CYNIC, DANGER DANGER, DANZIG, DARK ANGEL, DEATH, DEATH ANGEL, DEATH BREATH, DEATHSTARS, DEEP PURPLE, DEF LEPPARD, DESTRUCTION, DILLINGER ESCAPE PLAN, DISSECTION, DOKKEN, DON CABALLERO, DON DOKKEN, DREAMS OF SANITY, DRI, EMPEROR, ENTOMBED, ENSLAVED, ENUFF Z’ NUFF, EPICA, EUROPE, EVERGREY, EXODUS, FAITH NO MORE, FANTOMAS, FASTER PUSSYCAT, FASTWAY, FEAR FACTORY, FIGHT, FINNTROLL, FIREBIRD, THE FIRM, FORBIDDEN, FLOTSAN & JETSAM, GAMMARAY, THE GATHERING, GEORGE LYNCH, GIUFFRIA, GODFLESH, GREAT WHITE, GZR, THE HAUNTED, HAREM SCAREM, HELLACOPTERS, HOUSE OF LORDS, HURRICAINE, ICED EARTH, IMMORTAL, IN FLAMES, JOE LYNN TURNER, JUDAS PRIEST, KATATONIA, KING DIAMOND, KISS, KIX, KOVENANT, KREATOR, KROKUS, LACRIMAS PROFUNDERE, LACRIMOSA, LACUNA COIL, L.A GUNS, LED ZEPPELIN, LIFE OF AGONY, LYNCH MOB, MADAM X, MANNHAI, MASTERPLAN, MASTODON, MAYHEM, MERCYFUL FATE, METAL CHURCH, MINISTRY, MISFITS, MOONSORROW, MORBID ANGEL, MORTIIS, MOTLEY CRUE, MOTORHEAD, MR. BUNGLE, MY DYING BRIDE, NAPALM DEATH, NIGHT RANGER, NUCLEAR ASSAULT, OBITUARY, OPETH, OVERKILL, OZZY OSBOURNE, PAIN, PANTERA, PARADISE LOST, PESTILENCE, POISON, POISONBLACK, Q5, QUEENSRYCHE, RATT, ROYAL HUNT, SACRED REICH, SAMAEL, SATYRICON, SAVATAGE, SCORPIONS, SEBASTIAN BACH, SENTENCED, SKID ROW, SLAYER, S.O.D, SOILWORK, SOULFLY, STRAPPING YOUNG LAD, STREAM OF PASSION, STRYPER, SUICIDAL TENDENCIES, TESLA, TESTAMENT, THERAPY?, THUNDER, TURBONEGRO, SUSPERIA, SYSTEM OF A DOWN, THEATRE OF TRAGEDY, THERION, TIAMAT, UDO, UNLEASHED, VADER, VAN HALEN, VELVET REVOLVER, VINNIE VINCENT INVASION, VIXEN, VOIVOD, WARRANT, WEHRMACHT, WHITE LION, WHITE SNAKE, WITHIN TEMPTATION, WINGER & ZYKLON.